I write some controversial stuff on this blog from time to time. It often seems that whenever I do, I get a comment on the blog or over on Facebook that I am wrong because I have chosen to reject what the Bible clearly teaches in favor of my own personal human opinion. It is not always stated with these words, but that is the general idea. I was listening to a podcast the other day where the guest on the podcast said this very thing. He wasn’t talking about me, of course, but he said that the big problem in the church today is that people read the Bible, they don’t like what they read, and so they reject what the Bible clearly teaches because they prefer their own theology over the theology of the Bible. I was glad that the podcast host pushed back a little bit by asking if the pastor saw any difference between “what the Bible says” and “our understanding of what the Bible says.” The pastor said he did see a difference, but then went on to show by the rest of his comments that he didn’t. He basically said that how he understood the Bible was what the Bible clearly teaches because he lets the Bible and the Bible alone inform his theology, and anybody who disagreed with him was just following their own human understanding of the text imposing their own theology on the text of the Bible. I smiled a bit, because I used to be the exact same way. This probably could have been one of the 5 Theology Mistakes I made as a pastor. I Just Believe the Bible? I sometimes get a blank stare in response to this question, for in the minds of the most people, there is only one Bible. “You know, THE Bible,” they say to me. 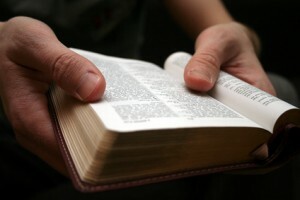 Most people, however, understand me as asking which Bible translation they are using, and so they will launch off into an explanation of why they read the KJV (because it has the greatest tradition), or the NASB (because it is the most accurate), or the ESV (because some big name scholars endorse it), or the NIV (because it’s the most understandable), or whatever. I then point out that a Bible translation is not really “THE Bible,” but is simply the shortest Bible commentary that exists. A Bible translation is nothing more than a good representation of what a certain person (or committee of persons) understands the Bible to be saying. 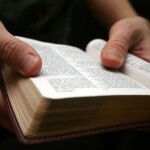 A Bible translation is not the Bible; a Bible translation is a commentary on the Bible. 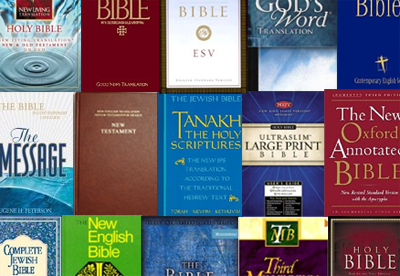 This is seen by comparing various translations of the Bible. Pick almost any chapter from the Bible and compare it between five or six translations and you will see how translation decisions give different meanings of the text due to the words that were used. Since I am doing a study on Genesis 1 in my podcast, I have noticed this over and over as I compare translations of various verses in Genesis 1. Some translations lean heavily toward young-earth creationism while others lean more toward an openness about when and how quickly the universe came into existence. Another example is the NIV and the ESV translations of the Bible, which were put together by a committee of scholars who are mostly Calvinists. As a result, these translations lean heavily toward Calvinistic interpretations and understandings of the text. These translations are short Calvinistic commentaries on the Bible. I Read and Study the Greek and Hebrew Bible? Then we have the exact same conversation we had about the English translations, but this time about Greek texts. There are thousands upon thousands of ancient Greek texts, and when compared with one another, they contain thousands of variant readings. Scholars have tried to sort through these texts to come up with what is likely to be the original Greek text, but (no surprise here), there is no universal consensus. In fact, there is not even a consensus on how to decide which variant readings are the best. There are two main approaches to the Greek texts, which can be found in the NA/UBS Text and the Majority Text. While the vast majority of scholars today prefer the approach found in the NA/UBS Text, a large number of scholars prefer the approach of the Majority Text. I won’t get into the differences here, because it would bore you to tears. In case you are curious, however, I prefer the Majority Text myself. The point is that even when people read and study the Greek Bible, we cannot say that there is such a thing as THE Greek Bible. 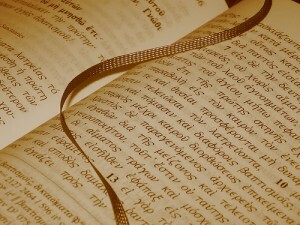 Just as there are different English Bibles, so also, there are different Greek Bibles. I Perform Greek and Hebrew Word Studies? Let us assume, of course, just for a moment, that everybody could agree 100% on what the original text meant. Or let us assume just for a moment that we somehow, miraculously, discovered the original manuscripts of the New Testament (called the autographs) as written by Matthew, Luke, Paul, Peter, etc. We still could not say that we “just believe the Bible,” because even though we would now know for sure what words were used, there would never be consensus on what those words mean. Sure, we have Greek dictionaries, but — surprise, surprise — the various Greek dictionaries do not all agree on what the particular words mean in their various contexts. Sure, there is a lot of agreement, but on key Biblical words like justification, faith, heaven, eternal life, hell, Son of Man, Christ, and numerous other such terms, there is no universal consensus on how these words are to be understood in the Greek text. I study the Historical and Cultural Context? One important tool that many good scholars use to help them understand how the words were used and understood by the original author and to the original audience is historical-cultural background studies. I use these a lot myself, and find them to be one of the most enjoyable and fruitful areas of biblical research. However, as with everything else, there is a lot of wiggle room when it comes to how much historical and cultural background studies help us understand the text. Take my current studies on Genesis 1 as an example. I have read about 30-40 books on this chapter so far. About 10-15 of them have said that the original author knew nothing about the Babylonian, Canaanite, and Egyptian creation myths, and so it is unwise to draw parallels between Genesis 1 and what is recorded in those other religious creation accounts. The rest of the scholars say that it is almost absolutely certain that the original author and audience knew of these accounts and was writing some sort of theological polemic against them. Most ironically of all, the first group of scholars (who deny any connection) often say that “the issue has been decisively settled in our day and no reputable scholar believes in any such connection any longer.” I scratch my head at this, because I have just read a couple dozen modern, reputable Bible scholars who do, in fact, believe in the connection between Genesis 1 and the Babylonian, Canaanite, and Egyptian creation myths. So there is no consensus. Or take the current debate about justification. In case you were not aware, there is a big debate among New Testament scholars today about what Paul meant by justification. In some of these books and articles on this debate, it is not uncommon to see a scholar say, “Well, in Paul’s day, the Jews believed … ” and then go on to state what Jews believed. I have undoubtedly said something similar in many of my own writings and teachings. And yet saying “In Paul’s day, the Jews believed …” is like saying, “In our day, Christians believe … ” Put anything you want after that ellipses, there is no universal consensus about it. Do all Christians believe the same thing about what happens after death? Nope. About how to receive eternal life? Nope. About the deity of Jesus? Nope. About the nature of the church? Nope. So again, even if we were doing a “Historical-cultural background” study on our very own day and our very own culture, it is impossible to give a blanket statement and say, “Well, in the 21st century, Christians believe that …” Whatever you put there, some Christians will believe it, and some won’t. So historical-cultural background studies are helpful, but even they will not give you absolute certainty about the meaning of any text. The straightforward reading the Bible is a myth. I could go on and one with numerous other issues that affect “the plain and simple understanding of the Bible” to show you that there is no such thing. We could talk about how our own culture and history and personal experience colors our reading and understanding of Scripture. We could talk about worldviews and thought patterns and logical reasoning. We could talk about the nature of truth. The point is this: The straightforward reading the Bible is a myth. Don’t believe anyone who says, “I just believe the Bible.” They don’t. Sure, they might believe they “just believe the Bible,” but this mindset is the greatest contributing factor to their failure to see all the areas where they are wrong about what the Bible says. The person who says they just believe the Bible may be the most dangerous person to listen to regarding what the Bible teaches because they are blind to everything that has influenced their understanding of the Bible. Disagree with the other person if you want to, but recognize that they are trying to understand and explain the text just as much as you are, and that just as you want them to listen to how you arrived at your conclusions regarding the text (and don’t say, “I just read the Bible,” because you didn’t), so also, that other person likely engaged in deep study of the biblical text to arrive at their understanding and it would benefit you to hear how they came to their understanding. In this way, both of you can learn from each other and challenge each other to understand the text at a deeper level. Ultimately, finally, no matter what “conclusions” you come to about the meaning of a text, never let them be your “conclusions.” Hold all your conclusions tentatively. Hold them humbly. Recognize that you always have more to learn, that you have never “arrived,” and that God may just want to reveal an incorrect belief to you by bringing this other person into your life with whom you (currently) disagree. You could become, like, a non-theist with the quality of this stuff. There’s simply a good number of items on this list why we don’t listen to the nutters. If only God could’ve been a bit clearer so our meager human intelligence could comprehend. Sure does look like the entire thing was written, changed, manipulated, interpreted and translated by meager humans in the first place. Yes, this is the big wish! But for some reason, God didn’t give us the Bible we all want. he gave us something else. Which means what we want and what God wants might not be the same thing… So our task is to figure out why we have the Bible we have, why God gave it to us, and then align our understand of the text with this. I have been following your writings/blog whatever you want to call it for about a year or so. I so agree with you on this 100%. 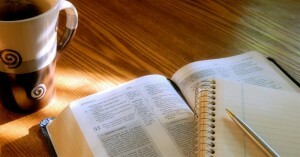 I’am one of those Christians that struggles with the bible (especially the new testament). I agree we all have our biases without realizing it or how we interpret things. I believe that we need to have a personal relationship with Jesus and that we need to seek God out on our own and be sincere on our seeking of him to get a better understanding. I think ultimately God is concerned with how we love our neighbor and how we treat others, because it is a reflection of who God is. When we love our neighbor we show how God loves us. I have been leaning lately to believing in ultimate universal reconcilliation, (including the wicked), i’am not dogmatic about it. I just have a hope that sometime in the later age that will happen. Not saying i don’t believe in future punishment, i’am just not sure if i believe in eternal damnation anymore, i’am open to other possibilities (including possible salvation after death). I just don’t know for sure, i just believe in a wider hope because i believe in God’s love and grace is a lot bigger than we can imagine. I believe you are right. I love theology, and one way I try to love people is by helping them see a different picture of God than what they might have heard elsewhere. But theology is not for everyone. God gave each of us different gifts, abilities, and desires so that we might use these to love other people. AS you indicate, loving others is one of the most important things God wants us to do. God’s grace is definitely wider than most of us will ever realize. “I do not believe it has anything to do with torment of suffering…” – when I read this, the first thing that popped into my mind was the rich man when Jesus talked about him and Lazarus? Love your thoughts on here. I too am hopeful concerning a possible restoration for all. However. I still currently belive in probably annihilation for the Wicked. Just glad Christ is my Savior. For what it’s worth, I feel the need to point out that there is amazing agreement between all the Greek NT texts that are available. I’ve heard it estimated that only 1% (I’m going from memory here) of the entire NT is in serious dispute and no significant doctrine of the church is dependent upon a disputed reading for its support. I get your point that we need to hold our interpretations loosely and listen to others as to why they think differently. It is highly likely that each as something that he can learn from the other. Well, there’s the whole missing ending of Mark, thought to be among the earliest written gospels, which completely leaves out anything after Jesus is buried. Because, ya know, the whole resurrection part is kind of important. That’s not the only important disputed difference among greek manuscripts. The old line you’ve repeated is just a whitewashing of biblical history. The point is that we are not dependent upon the longer ending of Mark for our knowledge of the resurrection. So while the ending of Mark is in dispute, belief in the resurrection is not. What that figure means, depends upon which manuscripts one is (ab)using in counting the disputes. > no significant doctrine of the church is dependent upon a disputed reading for its support. That depends upon what one’s theology is, and one calls “significant”. If your theology is unadulterated _church of Christ (Upper Room)_, then the affected doctrine is significant. If your theology is _Universal Life Church_, then it doesn’t matter what either the original, received, or modern versions and translations say, because the differences, both linguistically, and theologically, are insignificant. Yes, I think I read that there is about 99% agreement between all texts. Thanks for pointing this out. I didn’t want to give the impression that there were vast differences… There is still great agreement on most major things. Great article. I read recently where someone supposedly researched the Koran violence and OT violence. Supposedly there is more violence in OT. Any thoughts here? I agree. I’m even skeptical about the phrase “sola scripture” as if that is the only thing used to interpret the Bible. Maybe it merely means the only rule of faith and conduct, but even there, it may be a bit tricky. I’m curious as it what you may think. Thanks! Yes, experience. I am still coming to grips with this, but I it does fit within Wesley’s quadrilateral, doesn’t it? I have tended to discredit experience, but that seems silly when we realize that nobody comes to Scripture without their experiences. You make excellent points in that post. Thanks for linking to it. Thanks for taking the time read it and sharing it on your FB page. I’m genuinely curious. With all this uncertainty, what beliefs, taught in the “Bible (s)” do you hold deeply to? I have only read a few of your posts so forgive me if the answer is obvious, but I would sincerely appreciate and would like to consider your answer. I believe everything in the Bible! … (as I currently understand it). Some of my central beliefs include the divinity of Jesus, the fact that Jesus reveals God to us, and absolute free grace of God, that eternal life is a free gift of God to all who believe in Jesus, that the church is the Body of Christ in the world, and numerous other truths. Many have become worshipers of a text and their interpretation as opposed to worshipers of God as He has chosen to reveal Himself in multiple ways, most completely in Christ. The Word is alive, in the Bible, in Christ, in God’s Spirit, in His people, in creation. God continues to use his written word for His purposes, including to expose the hearts of men both in how we “interpret” and apply “it”. Hebrews 4:12 – For the word of God is alive and active. Sharper than any double-edged sword, it penetrates even to dividing soul and spirit, joints and marrow; it judges the thoughts and attitudes of the heart. Well reasoned and expressed. These same thoughts resonate with my own unformulated and troubling ideas when I hear the ‘God said it; I believe it; that settles it’ pronouncement. That said, this is not a comment for publication but some editorial bits that probably occurred as fingers try to match the speed of thinking. However, they did cause me to stumble and you can decide if you think they might do the same for other readers. I won’t get into the differences here, because it would bore you [to] tears. In case you are curious, however, I prefer the Majority Text myself. This chestnut is so old, it has become boring and predictable. What we should do is to get like twenty different people who all say that phrase, and yet believe twenty different theologies, put them all in the same room, and tell them to get on with it. “Oh wait a minute, that’s called ‘church'”. great post! I usually ‘run’ the furthest from those who say because the bible says so…….. I think the knowledge of human nature and psychology is also very important in the interpretation and the interpreter. I always want to know who is the person who says something and what does his fans and critics say about him/her. why did they write something and to whom it was written. I want to know if that person is objective! What I do believe is that we need to really know Jesus to know God – Although text meaning can change Jesus who is the word of God – His personality doesn’t change……so when you read behind the text and see the personality of Jesus – you get to know Him for who He is and then I can test anything the bible or text say against His character for truth! Lack of certainty about God and what God tells us and wants of us can be very frightening. Some of us need to be very certain, very clear about those things. We need a God who doesn’t hide. We need a God who personally penned a book to us, a book that clearly tells us everything we need to know to make this journey. The idea of a God who hides and of a holy book, AKA “God’s love letter to us”, that is anything less than one hundred percent clear and concise, is verboten. Even worse, it scares us. Do not such ideas leave us floundering in a sea of uncertainty? Some of us, on the other hand, base our journey on following Jesus. That is where I encounter the God who doesn’t hide. Even though I read the Bible almost every day, and find it’s stories valuable at times, and confusing at others, my faith does not stand or fall based on what I or anyone else seem to think it says at every point. Discussions and opinions of what the Bible says, and the attendant theologies supposedly based on those discussions and opinions are at times interesting and even valuable, yet are not the foundation upon which I base my faith or my journey. That would be Jesus, and my journey following him. Yes, the Bible and opinions as to what it says inform my journey, but are not the journey. Following Jesus, or walking with Jesus, if you will, is the journey. My journey takes me places that Bible discussions and theological discourses never do. That’s where I run into Jesus regularly. Yes! Following Jesus is what is critical and important. It is not about how much of the Bible we know, but how much we look like Jesus. I have a post coming out about this very thing on Tuesday. Waited for this comment, Jeremy! Thank you so much. But I am a bit curious about what you mean by looking like Jesus…. Wasn’t that the sin in the beginning – wanting to be like God? There is a difference between wanting to BE God, and wanting to be Godly. We are called to be conformed to the image of Jesus Christ, to follow His example, and become Christlike. Jesus does not just reveal to us what God is like, but He also reveals to us what humans are supposed to be like. Of course, becoming more like Jesus will actually cause us to become more like ourselves (see my article here on becoming more like Jesus). You are absolutely correct that transformation is a product of an ongoing relationship with Jesus. Good point, Sam!!! Remember Genesis 3:1, yea, hath GOD said??? I do cringe slightly when someone says something akin to, “… I smiled a bit, because I used to be the exact same way…”. As if to say that the person who thinks that way is definitely thinking incorrectly. My initial thought was, “Here’s another person who thinks he’s arrived at the correct way of thinking.” But then at the very end of the article you showed that you do subscribe to the idea that we need to be humble in our understanding of scripture. I’ve written a rather lengthy article about the idea that humility is the single most important characteristic of Christ that we should attempt to emulate. Of course, I then started realizing how much pride had its grip on ‘even an incredibly humble guy such as myself’. I hate that :). It used to deter me from continuing the conversation (as I believe it would many people), but now I realize that his heart isn’t shutting me down, just his mouth :). Besides, I probably used to think that way too, but… oof. When I got to the end of the article I started noticing the humility that is probably guiding your life, studies and understanding. All that to say, I really like the conclusions you came to and agree with them. For now. 🙂 Good article. Thanks. Yes, I cringed when I wrote that, and I cringe when I hear it. Such a statement is definitely a sign of pride. But I think if you read this blog a bit more, you will see that I definitely don’t believe I know it all. I write to thing things through, and invite people along for the ride. I am glad that came out a bit at the end there. Know, of course, that there will often be things I write with which you disagree. That’s fine too! Thanks, Jeremy, for a thoughtful and provocative post. I have wanted to write such an article for decades, but you did it much better than I could have. It is humbling to know that all our understanding of God and scripture is subject to our personal experience and journey with him! Every assertion we make, even taken from scripture, in my opinion, falls under that (including this one)! I know that most Christians generally agree on the most basic of Christian principles, but I agree that even those need to be held humbly, not dogmatically. I long for that day when we will know, even as we are known by him!! You should still write your article! We all say things differently, and your take on the subject would be valuable. If you write it, I would love to read it. Half-a-dozen or so years ago I came to the conclusion that the older I get the more I am convinced of the authority of the Word of God (i.e. Bible); however the older I get the less confident I am in my understanding of the Bible. Yes, that is a good place to be. It keeps us humble, but dependent on the Spirit for guidance. We are discussing the content and man’s interpretation of the bible and it’s many changed versions of the bible, what about God’s Holy Spirit? Has he been taken completely out of the picture by all? I honestly believe that the bible, though the content be true, has become a stumbling block, just as Jesus was. Man depends to heavily on his own intelligence and the way this intelligence comes about being (via the 5 senses, primarily sight and sound), and not nearly enough on what God has given us. Isaiah 64:4 KJV w/Strong’s numbers if you must know, lol. 1 Corinthians 2:10, & 2:12, & don’t forget 2:14 and Romans 8:6-8. Thank you Jeremy, another informative and thought provoking post. I hear what you are saying, and I actually agree with you. I don’t want the Bible to be a book which only the scholars can understand and teach. I don’t think it is that sort of book. One thing I didn’t mention in this post is the work of the Holy Spirit to teach us, guide, and help us understand Scripture. I absolutely agree. I have had this same discussion with people before. In my world, LDS, all most everyone ignores the Bible. The big topic of discussion is the Book of Mormon. Because I live in an LDS community, it pays to stay familiar with the Book of Mormon. The minute the Bible is brought out, the LDS people tune you out. I am partial to the 1830 edition of the Book of Mormon. Even though the copies of the 1830 edition can be different. I also use the 1908 edition put out by the RLDS now called the Community of Christ. I have found in my discussion with my friends and neighbors, there are many things in the Book of Mormon that go against what the modern LDS Church teaches. Which is one of the reason I left it. Yes and no. When people say they believe the Bible, they treat it very differently from people who say they don’t believe the Bible and think it’s an ancient book of myths. They accept that the Ten Commandments were really handed down by God and are important to learn, as opposed to the skeptics who believe the Exodus from Egypt never happened. If you believe in the Bible, you believe it was inspired by God. You agree with what Paul taught in 2 Timothy 3:16 about how the Scriptures are useful and train us in righteousness, and so on. Some people maintain the Bible has no errors, which is confusing because there are slight discrepancies. We should be honest about the slight discrepancies that exist between some accounts that cannot both be true (for example, the order of the 3 Temptations of Jesus), while pointing out that these discrepancies do not change the lessons of the story, which is: you defeat Satan by learning the Bible well enough to keep him from tricking you! I like how John Walton points out, that Bible texts were not written to us, but for us, meaning it was written to the ancient Israelites of Moses’ day et. al. in terms they could understand, yet written for the benefit of everybody. Thankfully, translators around the world work very hard to render the Bible as accurately as possible and with great care and reverence! I appreciate the point you are trying to make, and it is important to realize the many ways in which we can be mistaken in our understanding of Scripture or any text. But, I’m concerned that you’ve overcorrected and embarked down an equally dangerous road of denying the possibility of objective understanding of the meaning of a text. A couple of questions here. Is that your conclusion, or is it simply a “tentative” conclusion because you still have more to learn? Also, can I safely conclude what you are meaning in this blog post, or would it be prideful to think I can conclude what you mean in your post and that I have “arrived” at your meaning because there is there still “more to learn” in order for me to know your meaning? If I cannot reach a conclusion about your meaning, then why are you writing blog posts? Thanks Jeremy Myers for helping me see that words can never have conclusive meanings – just the meanings we want them to have. Does the author apply this same level of ambiguity and uncertainty to any other writings of antiquity (for which there exists far less manuscript evidence)? Does he question whether we can know for certain the writings of the early Church fathers? Josephus? Homer? Has the author considered that God, through the Holy Spirit is an active participant both in transmitting the integrity of His inspired Word throughout time, and to its illumination in the human heart that prayerfully seeks His Truth? The problem with the original post is that it drips with all the uncertainty of modern textual criticism without any expressed regard for the active work of the Holy Spirit in the preservation and transmission of God’s Word, nor His role as teacher and enlightener of the scriptures to the human heart. The author’s reply to your comment isn’t much of a grounded Statement of Faith as a nebulous, subjective statement of personal opinion based on little more than whim. Perhaps I’m being unfair having no other experience with his writings, but I dare say that he, as a writer seeks to clearly communicate his thoughts and ideas so that his readers understand him without the need to bring their own interpretations to his text. Should God feel differently about His Holy Word? I say, no.